which is your most favoritest restaurant in your home city? Depends on what you define as home! For Milwaukee, nothing beats a Kopp's burger. Los Angeles, probably Izakaya by Katsu-Ya. For NYC, Risotteria Melotti. 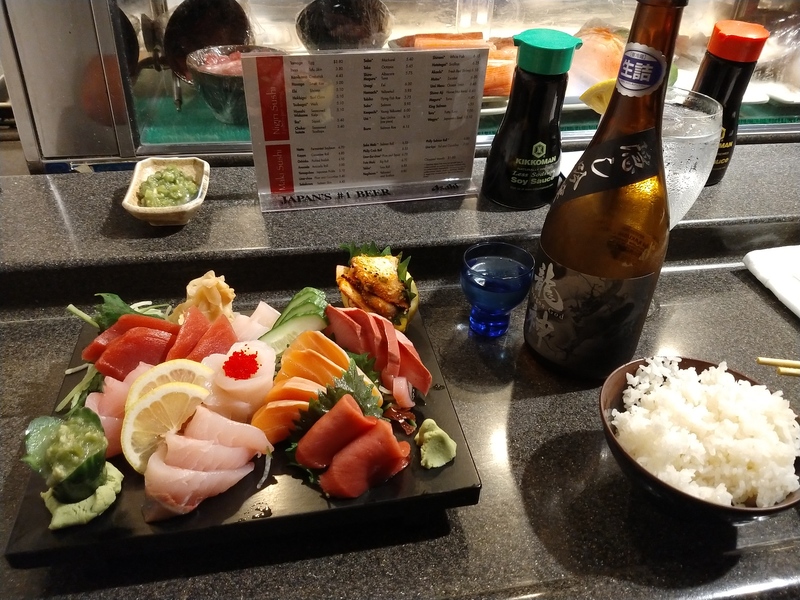 My current favorite is a sushi place which serves a pickled wasabi that could awake the dead 🤡 and a wide variety of select sake..
An elderly squid was laying on the seabed nearing the end of his life when a shark, looking for dinner, swam over to him. "Please don't eat me", said the squid, "I've been sick for weeks now, and haven't got long to go". So the shark said, "Ok, as you're so sick, climb onto my back and I'll take you for a little ride". So the squid climbed on and the shark swam across the seabed until they came to some rocks where another shark was lurking. "Hello", said the second shark, "What brings you over here?". "Hello mate", said the first shark. "Here's that sick squid I owe you"
Anything with Japanese food works for me. Particularly Teppanyaki. Yes! And for me was a bit educational at times when I learned all the fish is constantly being flown from far away places where it is caught, being told by the chefs it's usually the Asia side of the world where most of the good stuff comes from. Quite interesting! 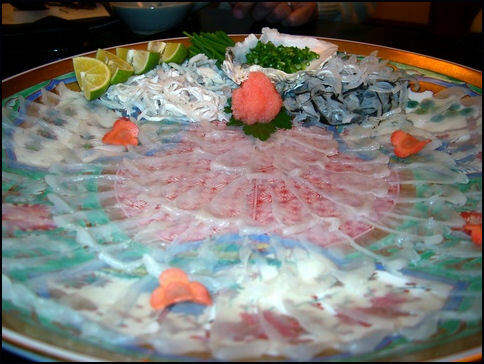 The story of Fugu really fascinates me.